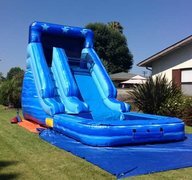 Los Angeles Water Slide Rental | Dunk Tank Rental Long Beach | Party Rental Beverly Hills | Bounce House Rental | FiestaKingRental.com Maywood CA. 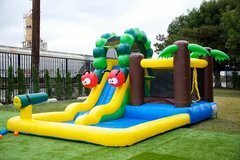 Are you looking for Inflatable Slides Rentals? 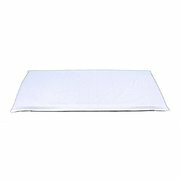 then this is the best party rentals in Los Angeles and Orange County. 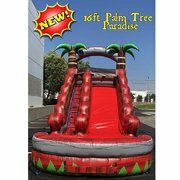 Water Slides is the perfect way to bring your party atmosphere to the next level. Water slides are great for both kids and adults and provide a great way to cool off on a hot summer day. 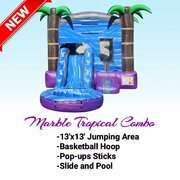 We have a large variety of water slides, including giant water slides, medium water slides, bounce house/water slide combos, Toddler water slides, and more! Browse the selections below and click on the "More Info" link or image for more information and to make a reservation.